Fans can now customise their experience within the Bulldogs app, with access to both AFL & AFLW content. 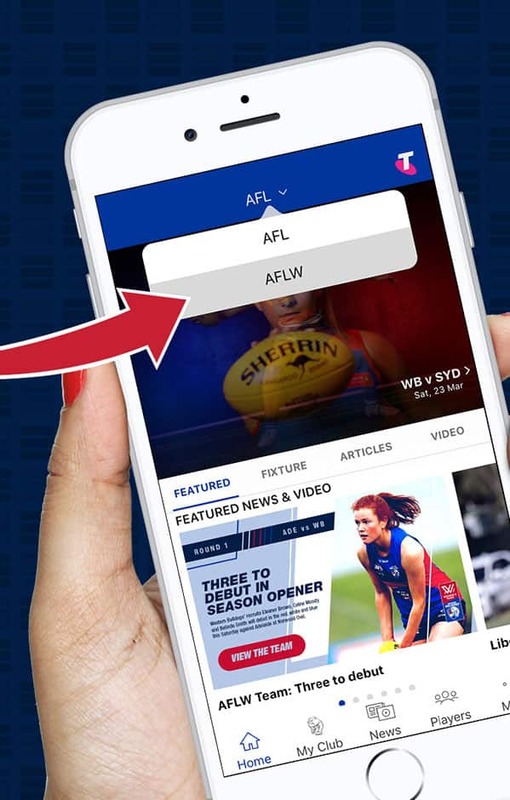 On the eve of the Western Bulldogs’ AFLW home season opener against Geelong on Saturday night, the Club has released an updated version of its official mobile app, featuring a new competition switcher that gives users the ability to swap between AFL and AFLW competition modes. With the introduction of this new feature, fans can now customise their experience within the app to focus on the competition and content of their choice. Working with the AFL and Telstra, the Bulldogs are one of the first clubs across the league to pilot this new app feature. Within the new AFLW mode, women’s team fans can access new native AFLW player profiles, match centre, fixture and results and team song audio players. In addition to these features, are also the latest news and video content, along with match day and venue information for upcoming home AFLW matches at VU Whitten Oval. Once you’ve opened the mobile app, to switch between AFL and AFLW modes, tap on the ‘AFL’ letters that will appear in the top centre of your screen. This will reveal a drop down menu of two options – AFL and AFLW. Simply tap on ‘AFLW,’ and the new women’s competition specific mode will be revealed. To return to ‘AFL’ mode, you just reverse the process. Download the new and updated official Bulldogs mobile app for iPhone. Download the new and updated official Bulldogs mobile app for Android and other mobile devices.